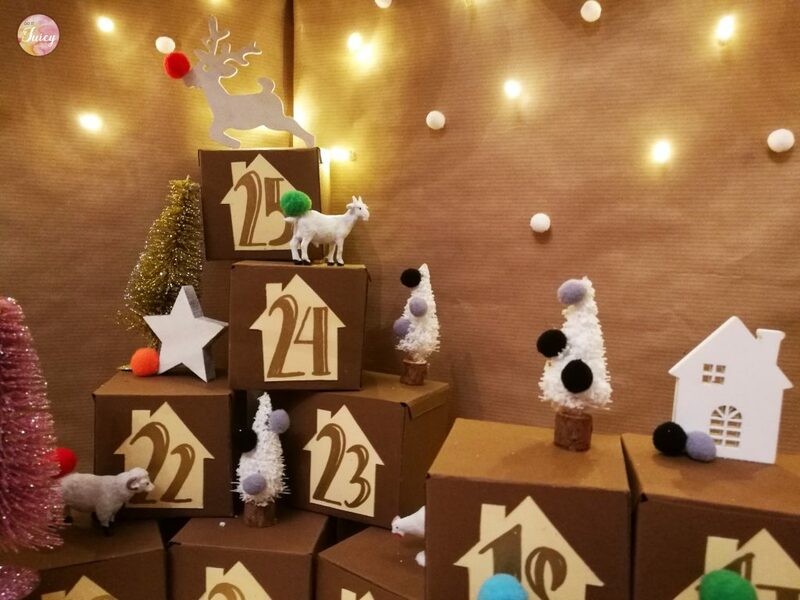 Christmas is right around the corner, are you ready for the count down? 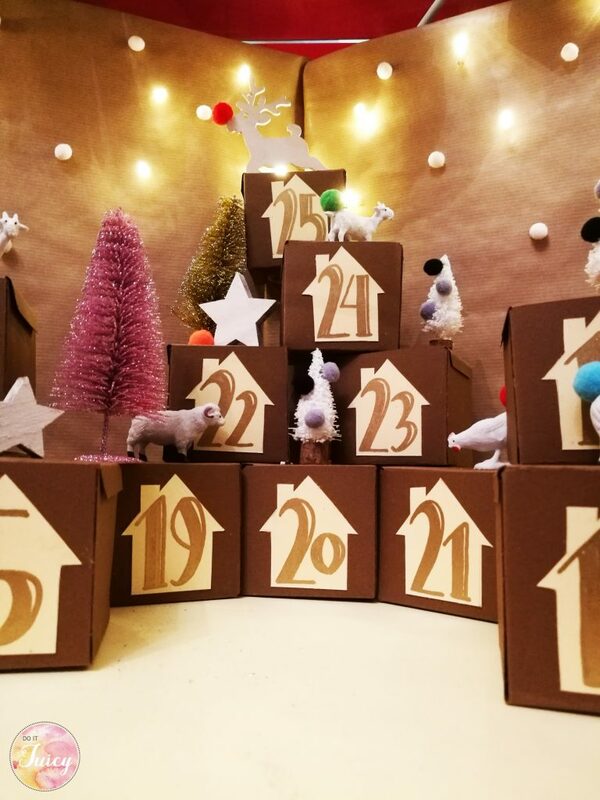 I love the tradition of the Advent calendar but is the first time i made one. 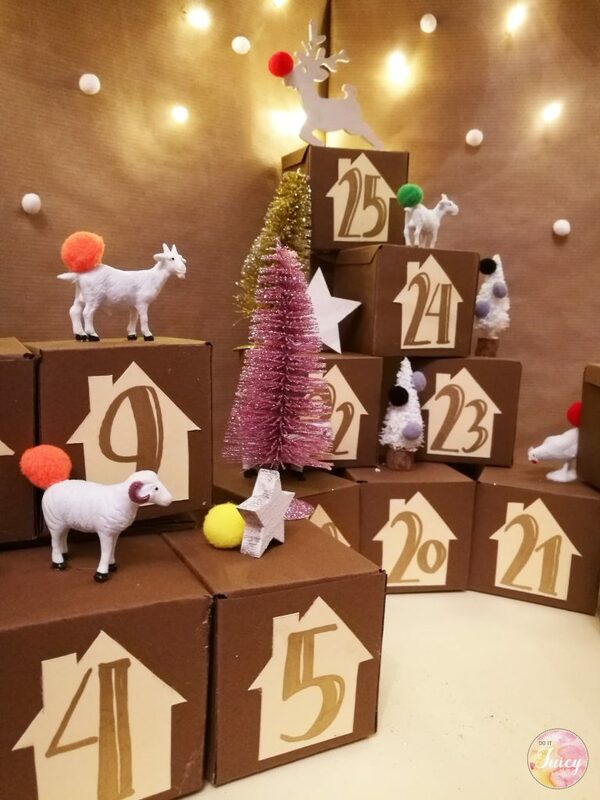 In Italy the advent calendar is not the main tradition, we usually start decorating our houses on the day of the Immaculate Conception, December 8. Along with the fancy lights, wreaths and trees, presepe (or nativity scenes) are displayed in many churches, piazzas and also private houses. 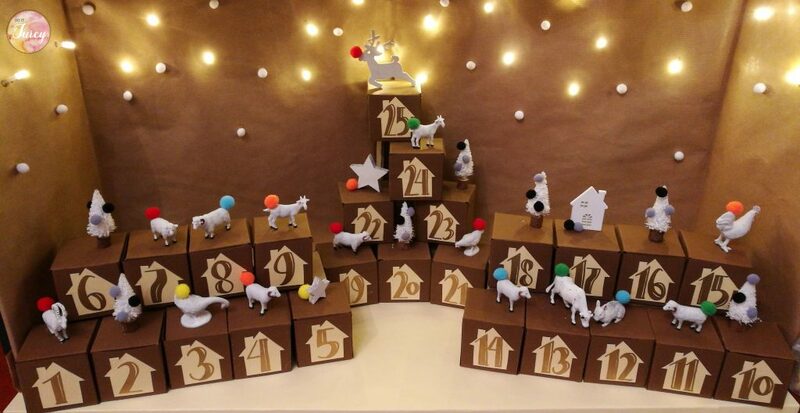 The idea for my DIY Advent Calendar came since i wanted to make a presepe too this year . In “nativity scenes” italians usually demonstrate their artistic impulse, and so do I! 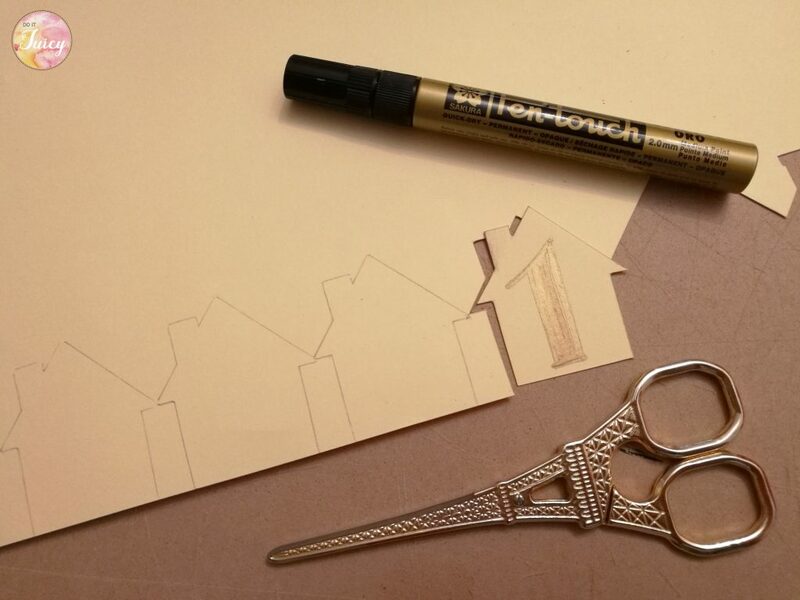 If you are good with it, It takes only few hours .Then i made 25 small labels in shape of an house. In each one i wrote the 25 numbers with my fancy gold pen, the one of the picture is a Pen-Touch you can find in Vertecchi store in Rome. 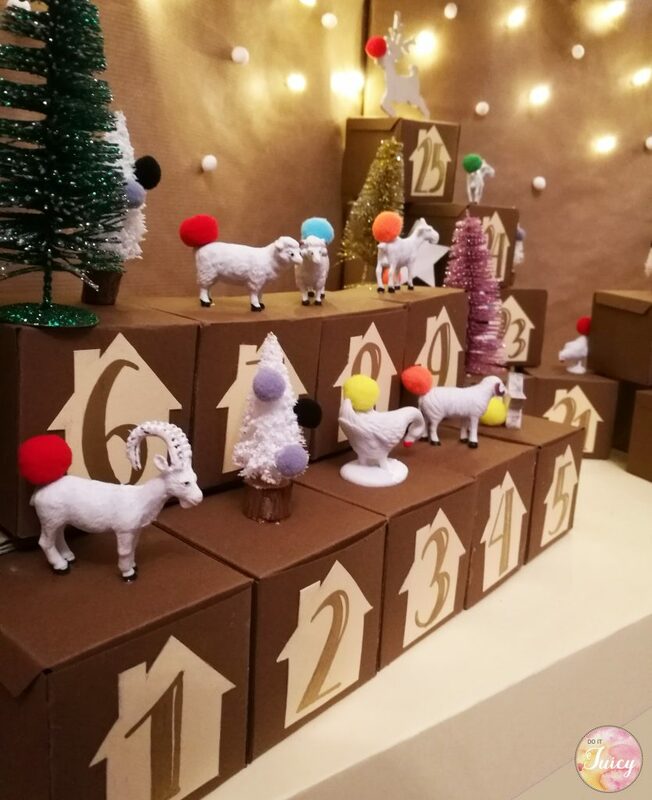 Then you need to decorate your small white animals with pom poms like the renderer in the picture above. Pom poms are super easy to find in stores like Tiger shop. Well if you have enough time and courage, spent some hours to decorate the back of the scene. 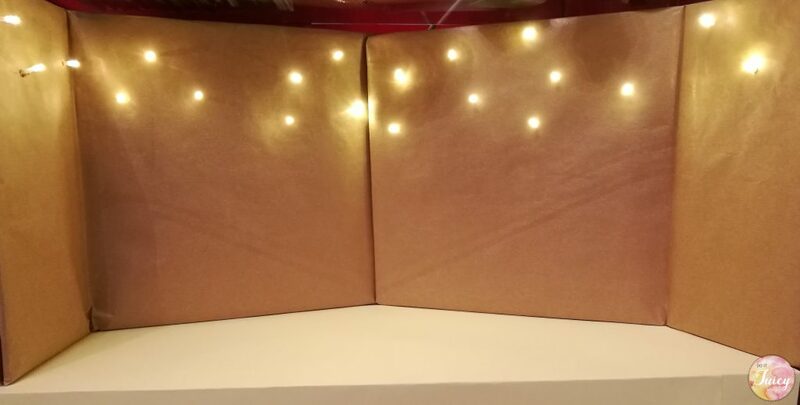 I made it just with a simple cardboard and christmas lights. 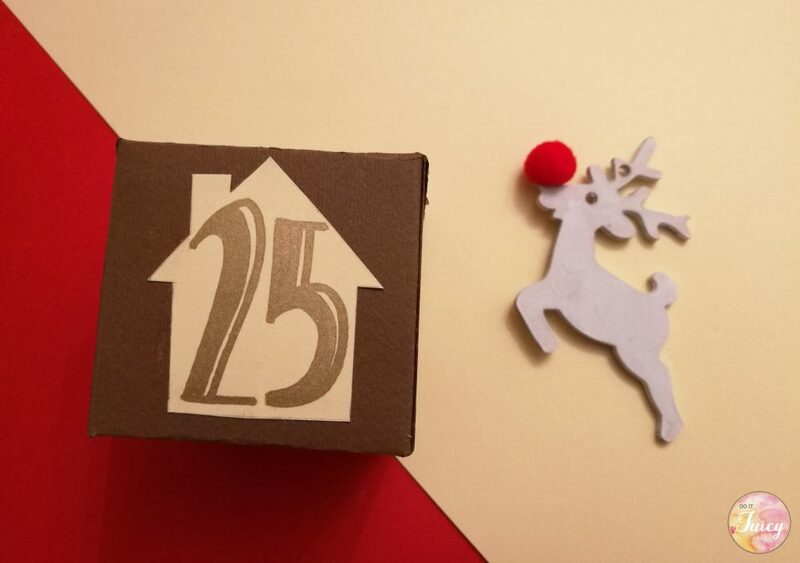 Then after one week of hard job (25 is a quite big number to manage) here is the result of my Advent caledar. 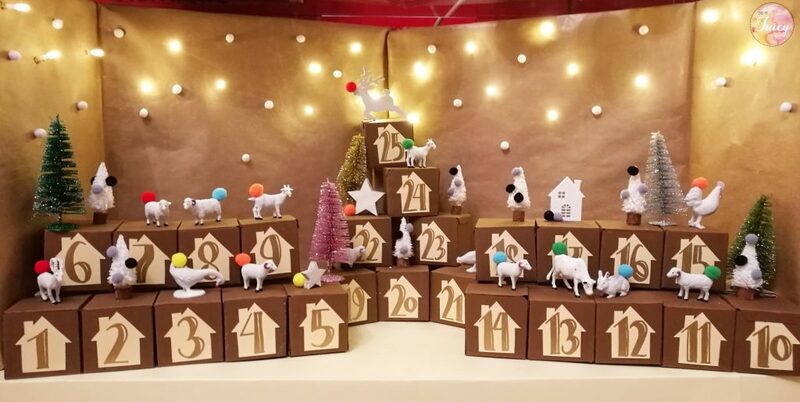 My husband said “Look, this is not Calendar, is a Las Vegas Presepe!”.